Video: Book Studio 16: Sulome Anderson. Video: CNN: Sulome Anderson: He Felt a Responsibility. Video: IPI WoCo 2016 Discussion: Covering the Refugee Crisis. Sulome Anderson is a journalist based between New York City and Beirut, Lebanon. Her debut book, The Hostage’s Daughter, is a gripping blend of reportage, memoir, and analysis set against the backdrop of a fraught Middle East. 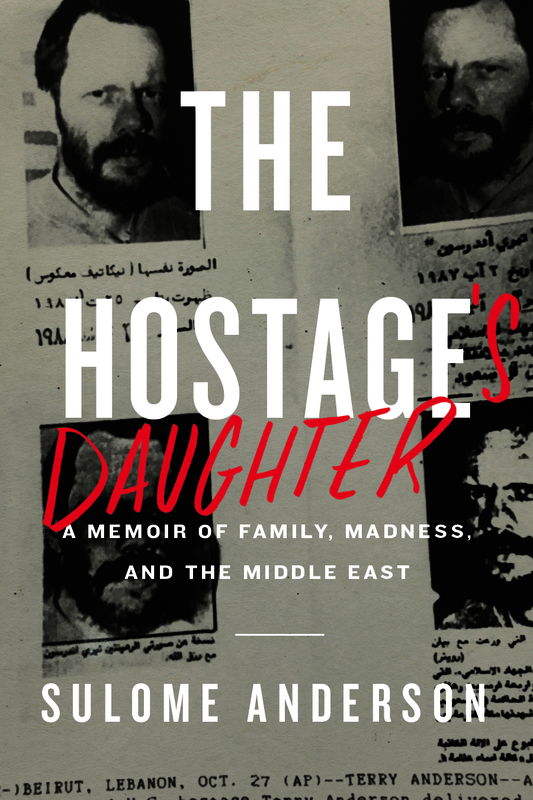 In the book, Sulome takes an intimate look at the kidnapping of her father, journalist Terry Anderson, and his seven years in captivity during the Lebanon Hostage Crisis. Throughout her investigation, she explores the ensuing political firestorm on both her family and the United States—as well as the far-reaching implications of those events on Middle East politics today. In 1991, when she was six-and-a-half years old, Sulome met her father for the first time. Anderson had been working as the Middle East bureau chief for the Associated Press, covering the long and bloody civil war in Lebanon, when he was kidnapped in Beirut by a Shiite Muslim militia that would come to be associated with the Hezbollah movement. While the press painted his homecoming as a happy ending, the truth was far darker. Plagued by PTSD, Anderson proved to be a moody, aloof, and distant figure. But Sulome smiled for the cameras all the same, even as her father’s trauma became her own. 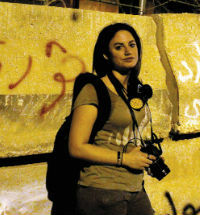 After years of struggle—both with her family and her personal demons of drug abuse and mental illness—she would travel to the Middle East as a conflict reporter, seeking to better understand her father, the men who had taken him hostage, and by extension, herself. What she discovered was eye-opening—not only about her father, but about the political events that surrounded the years of his captivity. Sulome tells moving stories from her experiences as a reporter in the region and challenges our understanding of global politics, the forces that spawn terrorism and especially Lebanon, the beautiful, devastated, and vitally important country she came to love. Powerful and eye-opening, The Hostage’s Daughter is essential reading for anyone interested in international relations, this violent, haunted region, and America's role in its fate. An alumna of Columbia University’s Graduate School of Journalism, Anderson reports feature stories for publications including The Atlantic, VICE, New York magazine, Foreign Policy, and Vox. Her goal is to write about people in extreme circumstances in order to convey how political strife affects the humans involved. Anderson has covered a wide range of topics including child marriages among Syrian refugees, an ISIS presence in Lebanon, and Kurdish tribes on the front lines in Iraq. "A remarkable personal story as well as penetrating insight into the adamantine world of the Middle East, where truth and politics are irreconcilable."